It is a subnational Ecuadorian territorial entity, of the Province of Manabí, Ecuador. Its cantonal head is the city of El Carmen, where a large part of its total population is grouped. The city and canton El Carmen, like the other Ecuadorian localities, is governed by a municipality as stipulated in the National Political Constitution. The Municipal Government of El Carmen is a sectional government entity that administers the canton autonomously to the central government. The municipality is organized by the separation of powers of executive character represented by the mayor, and another of legislative nature conformed by the members of the cantonal council. The Mayor is the highest administrative and political authority of the Canton El Carmen. He is the head of the cabildo and representative of the Municipality. The canton is divided into parishes that can be urban or rural and are represented by the Parochial Governments before the Mayor of El Carmen. It is called "La Puerta de Oro de Manabí", for its production of plantain banana, unique in the country and exported to the world. It conserves many rivers, where big spas have been installed, and large waterfalls that are true tourist attractions. The "paradores" are famous, restaurants on the edge of the road, where travelers enjoy their varied food. They are typical bolones of cheese, peanut and chicharrón; the dry chicken and "guanta", an animal that grows in the mountains. 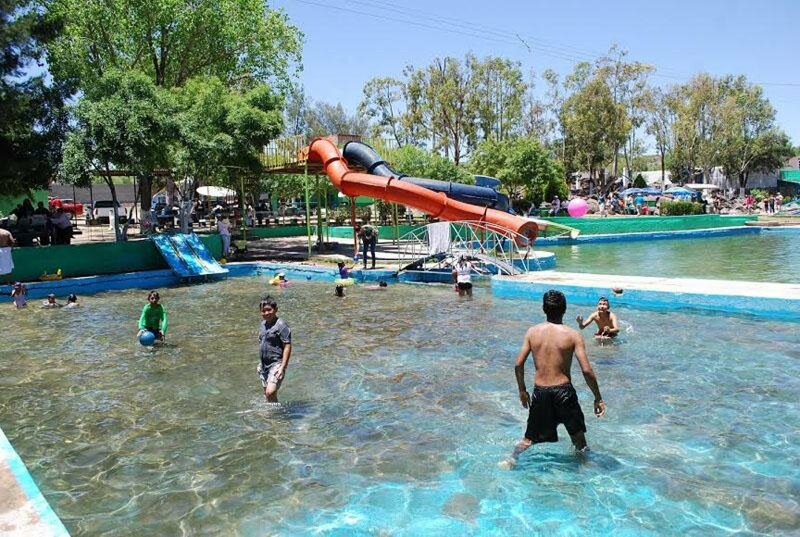 The climate of El Carmen is pleasant and tropical, but due to its proximity to the Sierra, there are permanent garúas. It has green forests, dense with large species, among which are considered: tangaré, yellow cedar, laurel, guachapelí and a variety of palms. Regarding the fauna, there are animals such as the jaguar, peccary, guanta, armadillo and a great variety of birds. Several rivers cross the canton like the tributaries of the Daule which are: La Esperanza and Pupusá and the tributaries of the Quinindé which are: El Suma and El Chila. Agriculture is cultivated plantain banana, coffee, cocoa, corn and a variety of fruits. Cattle breeding of cattle, horses, pigs and poultry stands out in livestock. The trade is very active, especially through the highway Quito-Santo Domingo-El Carmen-Flavio Alfaro-Chone. The same ones that are currently of first order. The landscape and vegetation attract the attention of tourists, such as its main festivities, held on July 3, anniversary of cantonization and July 16, in honor of the Virgin of El Carmen. The wealth of the canton has allowed to generate large volumes of raw materials and diverse products that have served for external export and internal supply, another of the main productive activities are livestock and its derivatives, for this it is necessary to incorporate the productive service, to the main sectors that constitute the medium and small producers of the field, the same ones that when not being organized they almost always lose their production due to the low volume and the difficulty of transporting the product to the centers of high consumption. The festivities in honor of the Virgen del Carmen, which takes place on July 15 and 16, and the Virgen del Quinche, on October 8, are the main manifestations. La tonga: One of the most desired dishes in El Carmen; It is chicken steak, has yucca as the ingredients, accompanied by fat peanut (peanut butter) and garnished with ripe. It is served and wrapped in banana leaves. The guanta: The main food in the time of colonization, although today is in danger of extinction is consumed, whether roasted, baked or stewed. With all the ingredients it is cooked on a low heat, originating an exquisite dish. The meatball broth: It is prepared with grated banana and stirred with ground or minced meat and achiote, also incorporated into balls when the water with the ingredients is boiling.